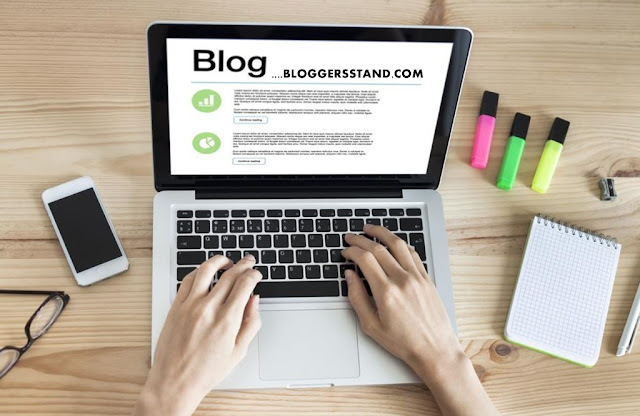 How to Use Schema Markup In Blogger | BloggersStand ';-1!=b.indexOf("img.youtube.com")&&(a=' ');d=a+''+p+''+titlex+"
Schema Markup is widely used on website and Blogs but few of us know about Schema Markup. Don’t worry I am not explaining any monotonous thing for you. Schema is very important for any website and blog for getting greater visibility on search engine. Search engine is a simple robotic machine. And it can’t do without any preset order. Suppose programmer has instruct the search robot to find out the all posts where image is missing. As a result, search robot will start search only missing images from your website and blog posts. And often there are a chance that search robot will fail to detect your post image from your blog. This can be happen due to not recognized coding by website designer. But there are so many search engine how a website and blog designer will help search robot to detect your content according to different search engine? WHAT IS SCHEMA.ORG OR SCHEMA MARKUP? A solution has evolved in 2011 because the giant search engine Bing, Google and Yahoo collaboratively created and support a common set of schemas for structured data markup on web pages which is known as Schema.org or Schema Markup. Schema markup is code (semantic vocabulary) that you put on your website to help the search engines return more informative results for users. Schema Markup use vocabulary along with the Microdata, RDFa, or JSON-LD formats to mark up website and Blog content with metadata. And Schema Markup helps search engine spiders and other parser to recognize the meaning of the sites (e.g. content, image, videos, etc). WHAT TYPES OF VOCABULARY SUPPORT ON SCHEMA.ORG? Schema Markup use large vocabulary including older formats such as Microformats, FOAF, GoodRelations and OpenCyc. You will see Microformats in Google webmaster tools while using Google Blogger. Under Microformats the most dominant representative is hCard in the Website and blog. On the other hand, RDF applications can use Microdata2RDF service. 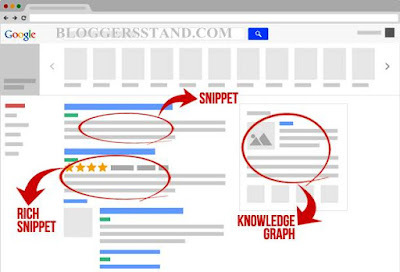 WHAT TYPES OF RICH SNIPPETS AND KNOWLEDGE GRAPHS APPEAR IN GOOGLE SEARCH RESULTS? Snippets: While any users make query in search result then few lines of text that appear under every content link on search engine result page. Rich snippets: This is required for better structured webpage and Blog. If Google robot can understand your webpage’s content, then they can display special rich snippets for that page in search results. 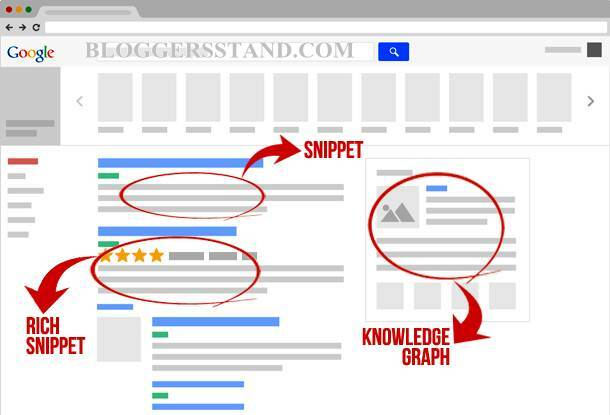 Knowledge Graphs: This is similar to rich snippets, if Google has a better understanding of what your webpage is all about, then they will display a summary information box on the right side of their search results for relevant keyword queries. But for this your site must be well structured. HOW TO VALIDATE DATA MARK UP? HOW TO USE SCHEMA.ORG MARKUP ON BLOGGER? Step 3. locate the <nav> or Navigation code from your Blogger template and change it by below markup. Step 4. Now Find <body> and change it by below markup. Step 5 Now Find <header> or <header-wrapper> and change it by below markup. Step 6. Now find <Content-wrapper> or <main-wrapper> where your Blog post contains and change it by below markup. Now replace it by below markup line. Step 8. Now find the below markup code . Step 9. Now find <div id='sidebar-wrapper'> and change it by below markup code. Step 10. Now find Blog footer section <footer id='footer-wrapper'> and change it by below markup code. Adding each line of Schema markup codes use Schema markup validator to check your webpage. If you need any further help then feel free to leave a comment below. Thank you. How to Use Schema Markup In Blogger,Schema.org easy to use in blogspot template theme,correct schema markup tags. So Far 3 Comments on "How to Use Schema Markup In Blogger" - Post Yours! This is good but this is 2018 can you rewrite it and I use mobile how cca I do it? Thanks for sharing. It's just awesome.